Bhuvneshwar Kumar gets the breakthrough India needed, Bracewell just dragging that to long on where Dhawan completes a simple catch and then does the thigh five! 14:07(IST)Doug Bracewell playing bit of a lone hand here for New Zealand and atleast providing some sort of respectability to the total. 13:14(IST)Spinners yet again firmly putting India in charge here, the key for them is to ensure that they maintain this pressure. Guptill's charmed life comes to an end as he gets the top edge and the ball goes flying down to third man where Chahal takes a good tumbling catch. 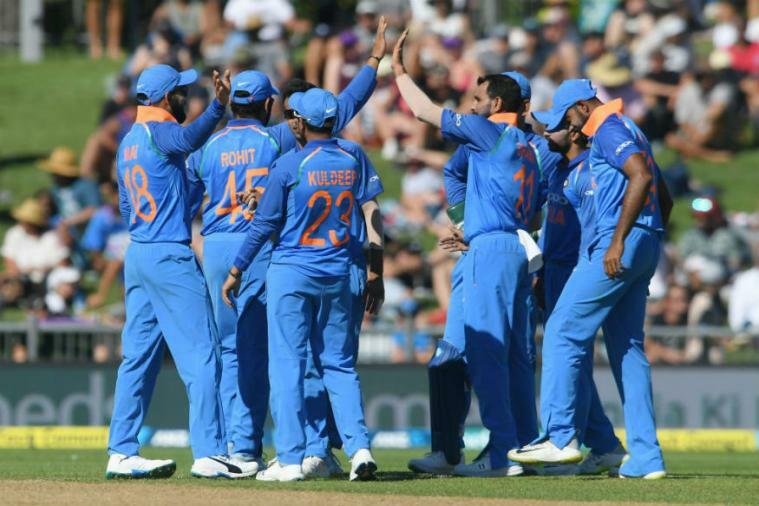 12:03(IST)Guptill is certainly living a charmed life at the moment, this time Shami gets the outside edge but the ball falls just short of Rohit Sharma at first slip. 11:55(IST)Shami starts proceedings from the other end for India, hes the man in form and it shows straight away.